An-2 general questions and answers for pilots. Su-26 and Su-26M. Су-26 и Су-26М. In Russian only. Yak UK web site. Information about buying, air displays and more. Yak-50 Flight Test. Includes information on specifications, costs of owning one and so forth. Yakovlev Yak-54 from the Encyclopedia of Aviation. AEROS. Actually in Ukraine, builds hang gliders, paragliders, trikes, more. Site in Russian and English. ASA. Builds parasails. In Russian only. General Aviation in Russia. 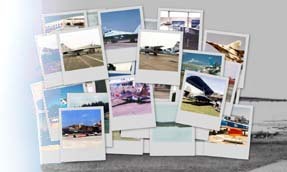 Photos, aircraft specs, club information, much more. In Russian only. OSKBES MAI (Otraslevoe Spetsialnoe Konstruktorskoe Byuro Eksperimentalnogo Samolyotostroeniya Moskovskogo Aviatsionnogo Instituta [rus]) - The Sectoral Special Design Bureau of an Experimental Aircraft Construction of Moscow Aviation Institute!